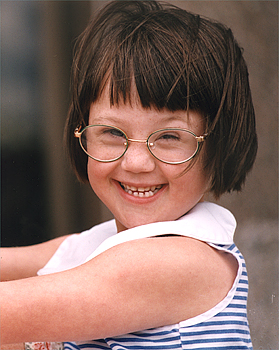 Rebecca started her school years at St. Patrick’s Elementary School and attended the Barrhaven Child Care Centre school age program. When she first started at the day care, integration was a new concept and a “learn as you go” approach was taken by Rebecca’s family and teaching team. Rebecca’s parents were very appreciative of the team that was assembled to help and for the ongoing support of their Resource Consultant. Throughout her school career, Rebecca has been integrated into regular classrooms with the exception of one year in high school. That year in a segregated classroom proved to be unsuccessful, because Rebecca, a high- functioning student, quickly grew bored with the unchallenging curriculum and expectations that were too low for her. The following year, she returned to an integrated setting where expectations were better suited to her potential. Rebecca thrived again. She received the additional support of a classroom educational assistant and time during the day in a smaller class where she could focus on academic skills. Currently, Rebecca is in grade 10 at Mother Theresa High School. She takes a mixture of academic and applied courses including photography, guitar, hairdressing, math, science and plays the clarinet in the school band. Rebecca learned to read in elementary school and this is now an enjoyable activity for her. Rebecca has just celebrated her 16th birthday and enjoys the same things as most 16-year olds: movies, music and spending time with her friends. During time at home, she communicates with her many friends on MSN Messenger–a fun way to keep in touch and practice her reading and writing skills. In her spare time, she writes the lyrics to favourite songs on her laptop, as well as creating her own lyrics. She is very independent, has her own cell phone and arranges her own activities with friends, including sleep-overs. She also has a bank account that she can access with her card and is learning to budget so that she can have the things that she wants. She has a wonderful social life and her circle of friends is as broad and inclusive as it was during her child care years. Rebecca has always exceeded her parent’s expectations. They often try to “raise the bar” so that she is continually challenged, therefore improving her skills and talents. The current goal is for Rebecca to finish high school and to acquire the skills to both live and work independently. Rebecca expects to have her own apartment as soon as she graduates, but her parents take a longer view and estimate that it will happen within the next eight years. Rebecca dreams of being a singer/songwriter in the future. With the loving support and encouragement of her family, she continues to work towards her dreams and there is no doubt that she will realize her full potential. Rebecca is now 26 years old and lives with her mother, step-father and her grandmother who recently moved in with the family. 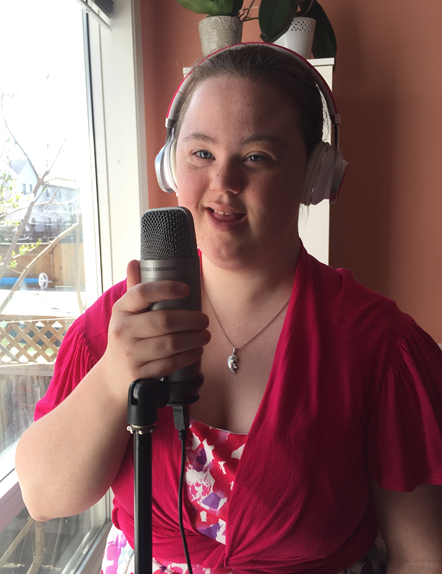 Rebecca currently keeps herself busy through many activities: as a member of the Tamir Neshama Choir, she attends weekly practices and performs at various functions and nearby major centres. Recently the choir launched its first CD (Sole to Soul). Music is Rebecca’s lifelong passion, so much of her time is spent writing songs, putting music to her lyrics, and practicing with a rock band who share the same musical interests. She met her boyfriend Jason at the Choir. They are very well suited for each other and parents have high hopes for their future together. Rebecca has many friends, a very busy social life, with the majority of their activities being planned amongst themselves. 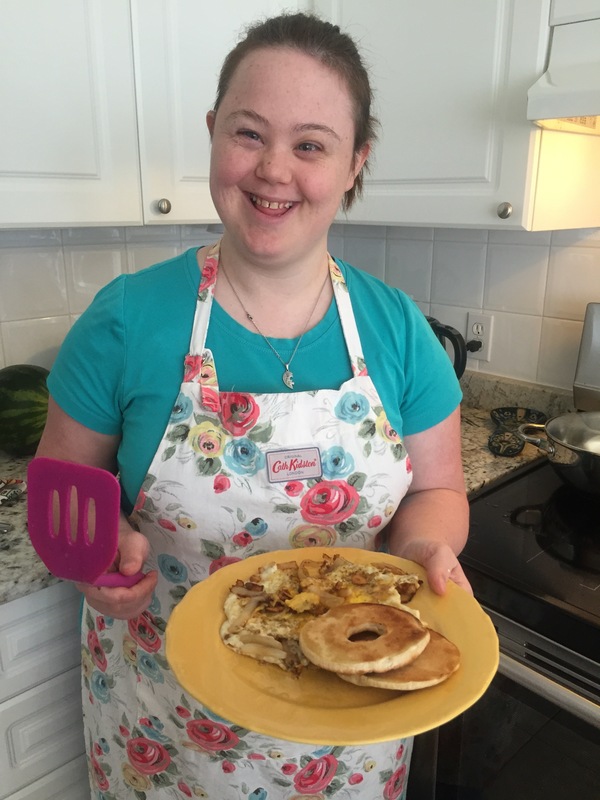 Rebecca is quite independent, able to make her own meals, care for herself, and enjoys spending time on her own. Her mother continues to teach and prepare her for dealing with the world. Her family anticipates her living semi-independently within the next few years. Rebecca was employed for a year at the Red Lobster restaurant. She is currently looking for employment. As with many young adults with a developmental disability, finding employment is a big challenge. Rebecca loves her life and has a positive outlook about her future. She has big dreams of marriage, a home, and following her musical interests.